8. "Death Proof"(2007) Despite some truly audacious stunt work by Zoe Bell on the hood of a careening Dodge Challenger, Tarantino's homage to grindhouse fails to transcend that leering genre. If anything, "Death Proof" unintentionally makes the case for exploitation flicks' niche appeal with its cardboard characters and lurid set pieces. 7. "Reservoir Dogs" (1992) Tarantino's directorial debut inaugurates the self-assured vision of a filmmaker who knows exactly what kind of movies he wants to make. 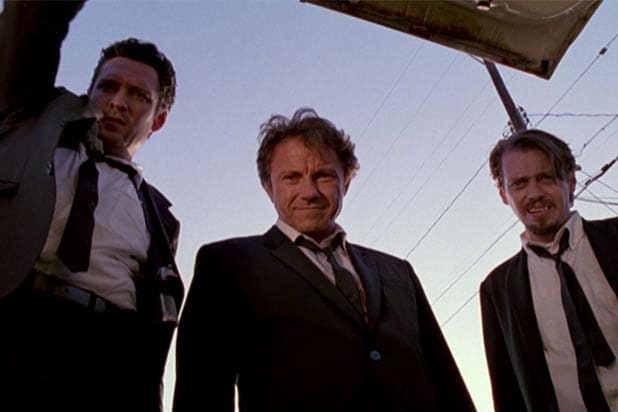 Vicious and nihilistic, the crime thriller is also largely an exercise in style despite fantastic performances by Harvey Keitel, Tim Roth, Steve Buscemi, and Michael Madsen. 6. "Kill Bill, Vols. 1 & 2" (2003-04) Tarantino's movies are never short of watchable, but this two-part, four-hour pastiche epic is the director at his second most fanboyish (after "Death Proof"). Tarantino himself has said of the Uma Thurman vehicle that it's "not about real life, it's just about other movies" -- and it shows. 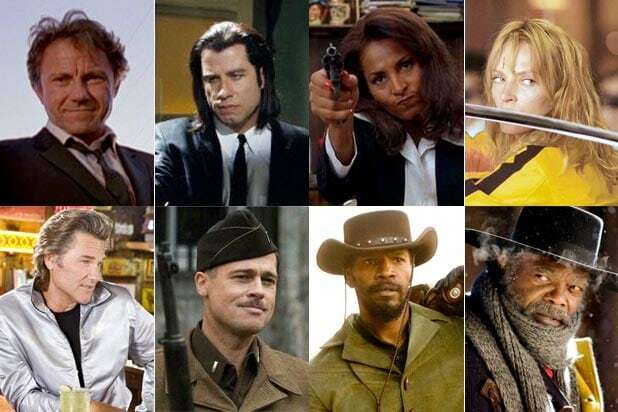 As a primer on Tarantino's favorite movies, it's enjoyable enough. As a standalone film, it fails to register beyond the over-the-top fight scenes. 5. "The Hateful Eight" (2015) Thinly drawn characters and a three-hour-plus running time make this Western an inessential and interminable chamber drama. After the peaks of "Inglourious Basterds" and "Django Unchained," it's disappointing to see Tarantino return to pointlessly bloody form, especially given the film's promisingly fertile post-Civil War setting. 4. "Pulp Fiction"(1994) Arguably the most important movie of the '90s, this smirking Palme d'Or winner now feels slightly rambling and repetitive. Still, its instantly recognizable lines, characters, and scenes must be acknowledged, and Samuel L. Jackson's alert but world-weary hitman gives this tale of L.A. lowlifes an emotional weightiness Tarantino's lesser efforts don't quite achieve. 3. "Inglourious Basterds" (2009) This alternate-history cartoon is Tarantino at his most entertaining, featuring a continent full of snappily sketched characters and star-making (or -remaking) turns by Brad Pitt, Christoph Waltz, Michael Fassbender, Diane Kruger, and Melanie Laurent. But whacking Nazis with bats and setting them on fire don't add up to much more than a hollow revenge fantasy, however funnily or majestically rendered. 2. "Jackie Brown"(1997) Tarantino's only attempt at a real love story (sorry, "Django" doesn't count), "Jackie Brown" is in many ways the director's most human film. The soundtrack is flawless, Pam Grier's in top form, and the tangled busyness of the criminal escapades just make Jackie and her would-be bail-bondsman suitor's (Robert Forster) middle-aged melancholy that much more moving. 1. "Django Unchained" (2012) The rare Tarantino movie to actually be "about" something, "Django Unchained" explores the still-taboo topic of black anger at white Southerners for slavery with wit, ferocity, and cinematic flair. Jamie Foxx and Leonardo DiCaprio deliver career-best performances in this delirious rhapsody, and for once the director's signature hyper-violence has a point beyond its own sake. If only Tarantino would allow himself to be so ambitious with every project.